Independent Contractor Insurance Colorado. Being an 1099 independent contractor can be liberating, but it is not without its own risks, just like a small business. 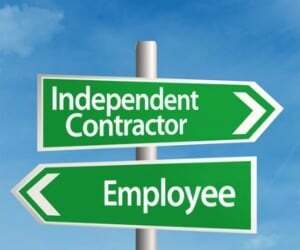 If you work as an independent contractor in CO, you must protect yourself financially; the IRS views independent contractors as small business owners, and as a small business, there are inherent perils involved that can leave you liable and on the receiving end of lawsuit from a disgruntled client or injured customer. Although the type of work that you do determines your exact risk level, having the right independent contractor insurance Colorado protection in place can prevent personal financial loss, impeding your success. Independent contractor insurance Colorado protects your 1099 business from lawsuits with rates as low as $27/mo. Get a fast quote and your certificate of insurance now. These are standard independent contractor insurance Colorado coverage types for contractors. Your policy should be tailored to your own unique needs and the risks that you take as an independent contractor and the liabilities that you face. It may be the case that a standard business owner's policy is sufficient for your needs. This policy, also referred to as a BOP, offers property damage and bodily injury coverage and may also offer business income protection or commercial vehicle insurance as well. 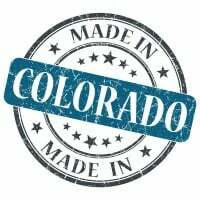 Request a free Independent Contractor Insurance Colorado quote in Akron, Alamosa, Arvada, Aspen, Ault, Aurora, Avon, Basalt, Bayfield, Bennett, Berthoud, Boulder, Breckenridge, Brighton, Broomfield, Brush, Buena Vista, Burlington, Carbondale, Castle Pines North, Castle Rock, Cañon City, Cedaredge, Centennial, Center, Cherry Hills Village, Colorado Springs, Columbine Valley, Commerce City, Cortez, Craig, Crested Butte, Cripple Creek, Dacono, Del Norte, Delta, Denver, Durango, Eagle, Eaton, Edgewater, Elizabeth, Englewood, Erie, Estes Park, Evans, Federal Heights, Firestone, Florence, Fort Collins, Fort Lupton, Fort Morgan, Fountain, Fowler, Fraser, Frederick, Frisco, Fruita, Georgetown, Gilcrest, Glendale, Glenwood Springs, Golden, Granby, Grand Junction, Greeley, Greenwood Village, Gunnison, Gypsum, Hayden, Holyoke, Hudson, Idaho Springs, Johnstown, Julesburg, Keenesburg, Kersey, Kremmling, La Junta, La Salle, Lafayette, Lakewood, Lamar, Las Animas, Leadville, Limon, Littleton, Lochbuie, Lone Tree, Longmont, Louisville, Loveland, Lyons, Mancos, Manitou Springs, Mead, Meeker, Milliken, Minturn, Monte Vista, Montrose, Monument, Mountain Village, Nederland, New Castle, Northglenn, Olathe, Orchard City, Ordway, Ouray, Pagosa Springs, Palisade, Palmer Lake, Paonia, Parachute, Parker, Platteville, Pueblo, Rangely, Rifle, Rocky Ford, Salida, Severance, Sheridan, Silt, Silverthorne, Snowmass Village, Springfield, Steamboat Springs, Sterling, Superior, Telluride, Thornton, Trinidad, Vail, Walsenburg, Wellington, Westminster, Wheat Ridge, Windsor, Woodland Park, Wray, Yuma and all other cities in CO - The Centennial State.